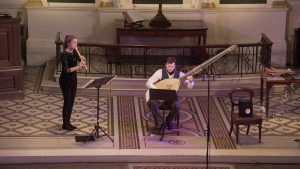 What a way to kick off the new year: a solo recital with Alex McCartney on theorbo at London’s newest Festival, Baroque at the Edge on the 6th of January 2018, premiering new solo recorder pieces by Fumiko Miyachi, Laura Bowler and Colin Matthews! If you have missed this, don’t despair 🙂 You can read a lovely review of the concert here. Also, you can still catch up with BBC Radio 3 In Tune from the 4th of January on the iPlayer, where you can listen to my live first (!) 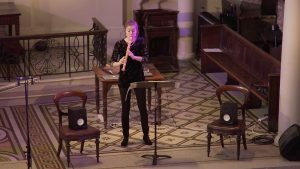 performance of Colin Matthews „Meditation“ for solo recorder, commissioned by the City Music Foundation, as well as some beautiful baroque music for recorder and lute. …and some more video clips from this concert will be published very soon, so watch this space!